Brand new commuter trains | Wha’ever! 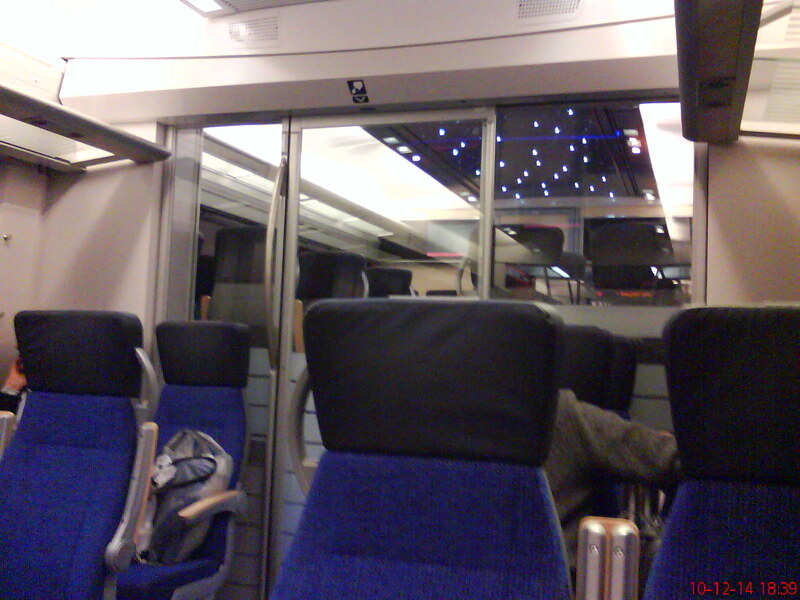 A nice surprise after a long day – a ride home on one of the 5 barely a week old new commuter trains of Östgötatrafiken. First time! Definite advantages are that they are very airy, there is a socket at each set of places, it goes very silently (I can have a much lower volume on the earphones) and it even has a silent compartment with a star-ceiling! Part of it you can spot in the picture. What I miss are the adjustable backrests of the seats which you have on the old trains. However, I love both types of trains – a good addition to the fleet these new big buddies! This entry was posted in Current Affairs, Life and tagged östgåtatrafiken by anmara. Bookmark the permalink.